FotoDepartament.Institute is the long-term educational program “Photography as a research” which was helding from the Spring of the 2011. Constantly developing and advancing the program and the educational approach, reacting to the theoretical gaps of the contemporary photography in Russia, we came further and created the new proficient program for 2 years of study in the field of photography which was launched in 2013. Such educational enterprise is the first non-governmental experiment to establish systematic photography education with the complete students’ immersion into the photography study, similar to the educational master’s programs abroad. Study includes the work in groups with a curator, intense reading, watching video and photo projects, individual material analysis, shootings, preparation and discussion of the current tasks, writing essays, lectures of visiting experts of humanitarian subjects and working on personal photoproject during all the study and its review. The second year of study represents more individual work and elaboration of such skills as holding the survey, shaping the ideas and working on the project accomplishing, its exhibiting and promoting, the experience of a team work and cooperation, etc. The most important outcome of the program is the creation of the personal portfolio made of photoprojects, surveys, essays and group projects’ and exhibitions’ results, and the skill of individual and group work as well. 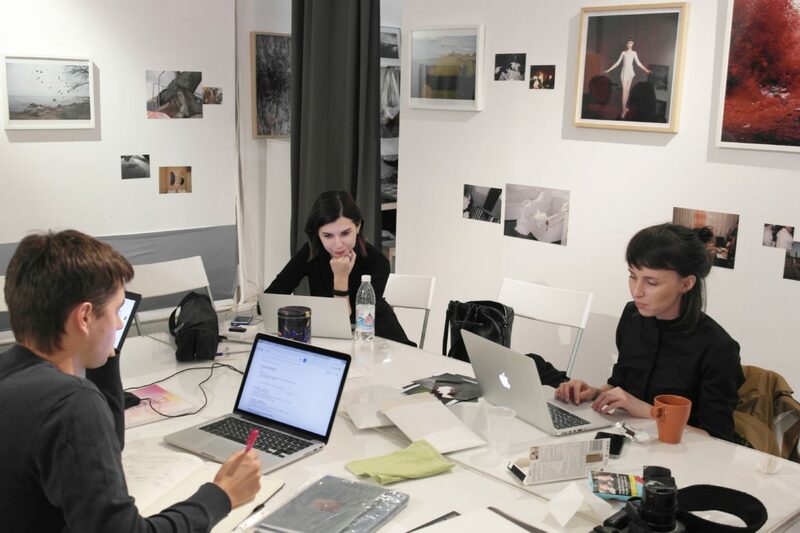 In general, the program is more likely to be an experimental laboratory where there are both practices (defined by specific curatorial programs) and shaping critical approach of understanding of contemporary photography. The process goes through the seminars, reading and discussion; photographers acquire theoretical knoweledge, learn how to discourse of the contemporary photography, listen to the theory and philosophy of photography and contemporary art, theory of esthetics, cultural identity, urban studies, philosophy of routine, visual anthropology, society and gender issues, political topics, visual surveys, media, depth psychology, mass culture, etc. One of the most essential task for the program is to unite active photographers, art experts and critics, philosophers and curators into the one communication network to create the field for its reciprocal filling and cooperation. Almost four years of a successful program work “Photography as a research” confirmed that the most important point of the study program is to establish horizontal connections, an active interest of the works of each photographer who may be from many regions and even countries, different photographic fields; also, there is a constant communication and initiation of corporative projects. Most of the visiting experts are young specialist ended up university studies of art, culture, philosophy or sociology, who develop own interest in the fields which are related to the photography somehow. Moreover there are also visiting professors, curators, art experts and researchers. The process of the cooperation of curators, lecturers and listeners is not only the learning process, but also a reciprocal experience and knowledge exchange, sharing the ideas of separated people’s world and interests, involved in different art and culture fields, from the photography and cinema to the urban science or philosophy, and reciprocal research which could become a photoproject, an article, magazine, book, etc. –outside the authorities – essential reconstruction of the social field of the photography where photography education and using creative potential are turned to the generation of personal author’s decisions and actions, and the roles of different participants rearranged. – socially responsible photography – the photography that shapes contemporary visual culture and influence on the peoples’ concepts of modern strategies and ways of the reflection of the reality as well as current issues and phenomena of the today’s society life. – reconsideration of the photocommunity – building up and development of the horizontal connections between authors and creation of practices, meetings and situations where people could be united – one space, way of thinking, actions and projects. – change – constant presence in the transformation condition – the photography as a mediator, education practice and the spirit of the time. – practice through theory – theoretical and philosophic ideas of the way how space is structured around us and art space help to create more clear projects and to shape new approaches.